Artemisia Afra, commonly known as African Wormwood, in English, Wilde Als in Afrikaans, Umhlonyane in Zulu, and Lengana in Sotho and Tswana, is a highly aromatic perennial herb that can grow up to 2 metres in height. 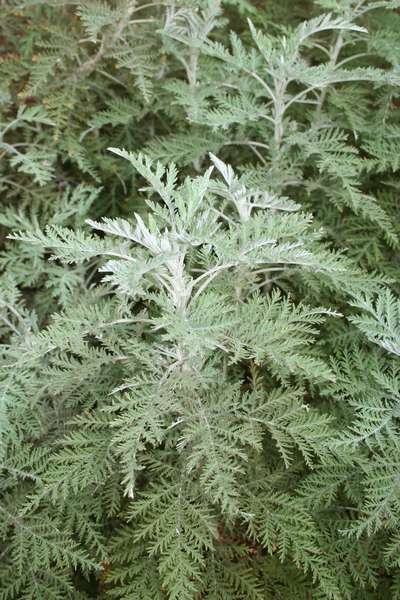 The attractive, feathery leaves are a grayish-green colour. The plant bears minute cream-coloured flowers at the end of summer. In frost prone areas, it dies back in winter and re-grows in spring. To prevent it from becoming untidy, it needs to be pruned. Wilde Als is one of the most widely used traditional medicines in South Africa. Jan van Riebeeck noted Wilde Als in his diary - and wrote that they used it for a variety of complaints, from gout to jaundice. Wilde Als is a tonic herb that is anti-inflammatory, antiseptic and antidepressant. Wilde Als can be used as a tea, body wash, poultice or vapour to treat respiratory ailments like colds, headaches, earache, bronchial complaints, croup, whooping cough, measles, fevers, malaria and sore throat. It is a common practice by those who know, to insert a rolled piece of fresh Wilde Als leaf into the nostrils to clear blocked nasal passages. Wilde Als relieves gastro and intestinal ailments like indigestion, dyspepsia, colic, loss of appetite and is supportive for diabetes. Wilde Als is anthelmintic - it expels intestinal worms. Wilde Als has pain relieving actions - a Wormwood dressing of warmed leaves can be wrapped around sprains, arthritic and rheumatic swellings, or layered and wrapped around the stomach to relieve a stomach ache. Place the leaves in a plastic bag and cover with boiling water. Once they have warmed up, remove and place between two pieces of lint / gauze and tie in place with a bandage. Remove after a few hours. Wilde Als is a blood purifier - and it will clear acne and boils. Wilde Als tea can be used as a wash to disinfect cuts and grazes. Farmer's Weekly of 11 November 2005 wrote that Wilde Als is to be investigated for its reputed benefits against TB, a serious respiratory disease that takes a hold on weakened immune systems and is the leading cause of death in people infected with HIV/AIDS. TB is believed to be responsible for between 11% and 50% of all AIDS deaths, therefore the United States has donated millions of Rand to investigate Wilde Als or African wormwood for its reputed benefits against Tuberculosis. The problem with TB is that the disease has now become resistant to the conventional medicines that are available. Use Wilde Als in insect-repelling sprays and teas to repel fleas. Add the tea to your dog's bath. Dried powdered Wilde Als can be scattered around in cracks and crevices to deter ants and fleas.